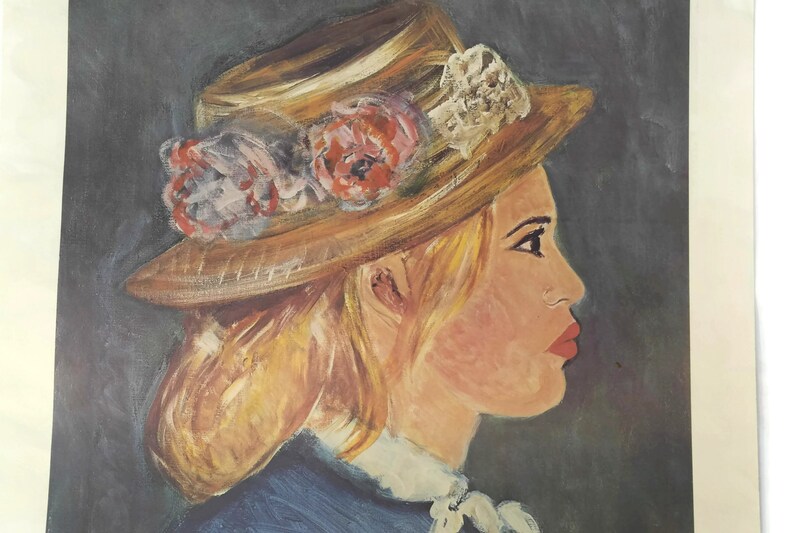 Vintage Brigitte Bardot Portrait Lithograph by David Stein in the Style of Renoir. 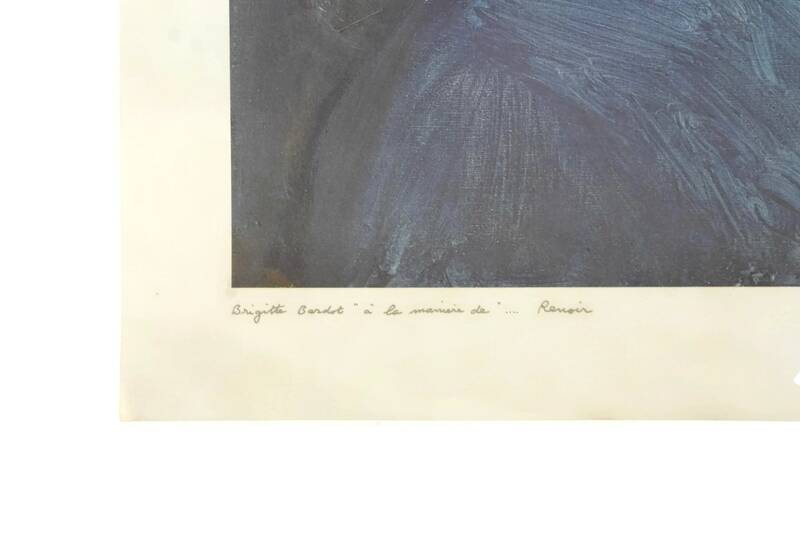 Original French Art Print. Cinema Memorabilia. 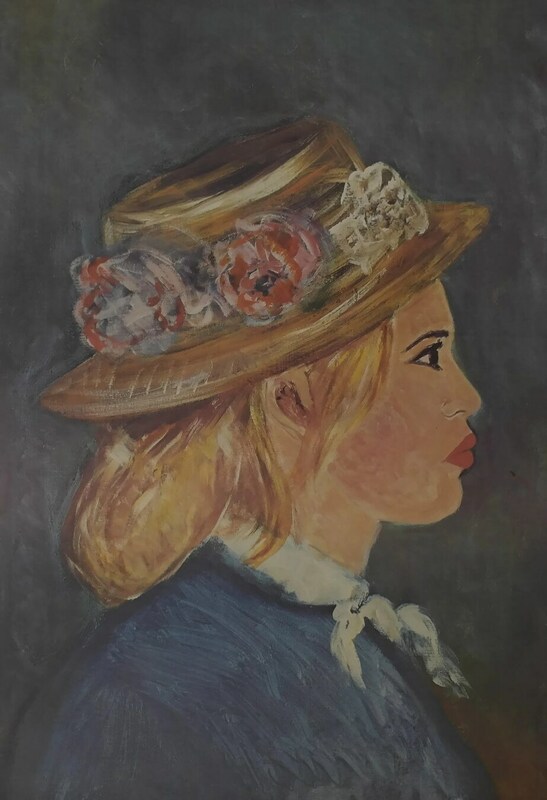 A rare vintage offset lithograph of the iconic French actress Brigitte Bardot. 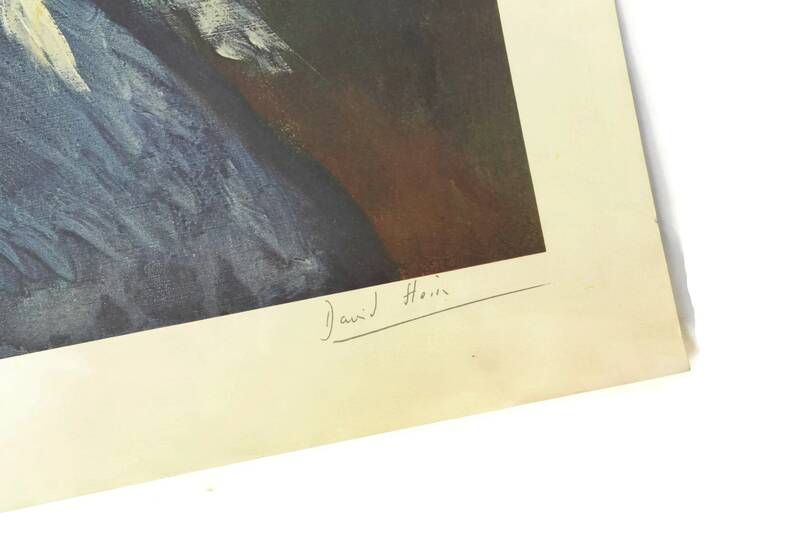 It was created in the 1960s/1970s by the notorious artist and art forger David Stein (1935-1999). 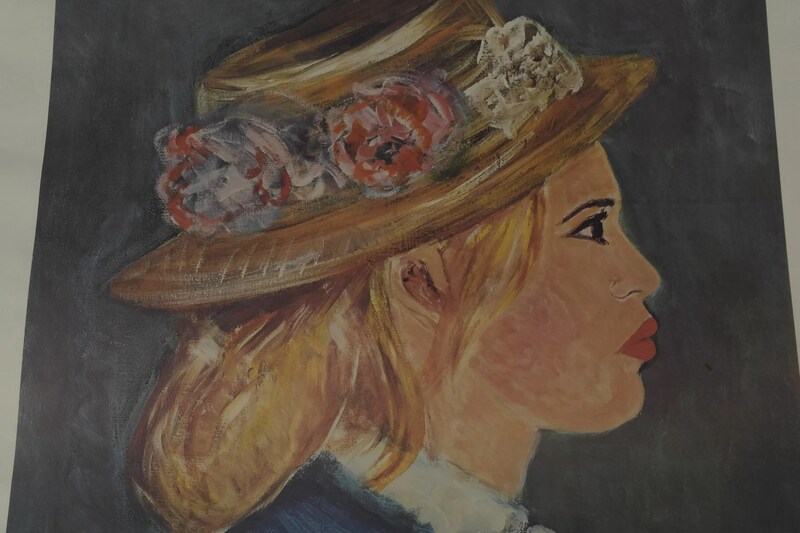 The original art print is from a series dedicated to Brigitte Bardot with each one created in the style of a famous artist. 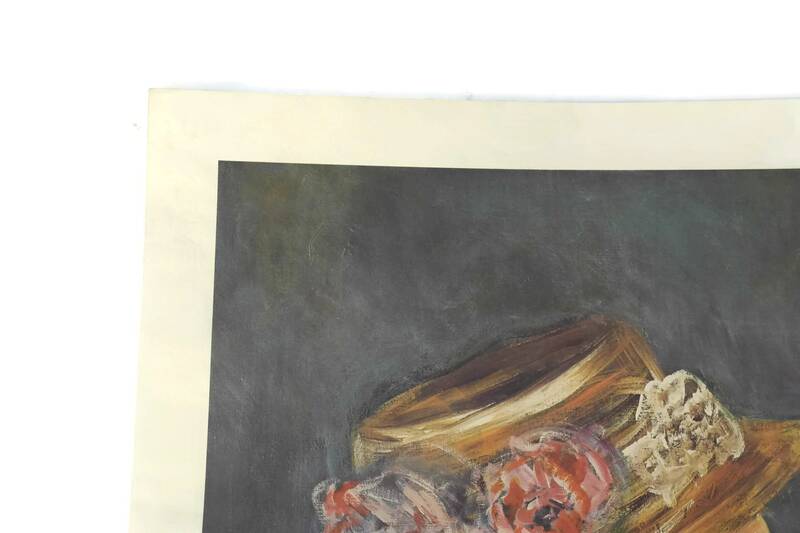 This particular lithograph has been created in the Impressionist style of Renoir and the title has been printed in the plate " Bardot in the style of Renoir". 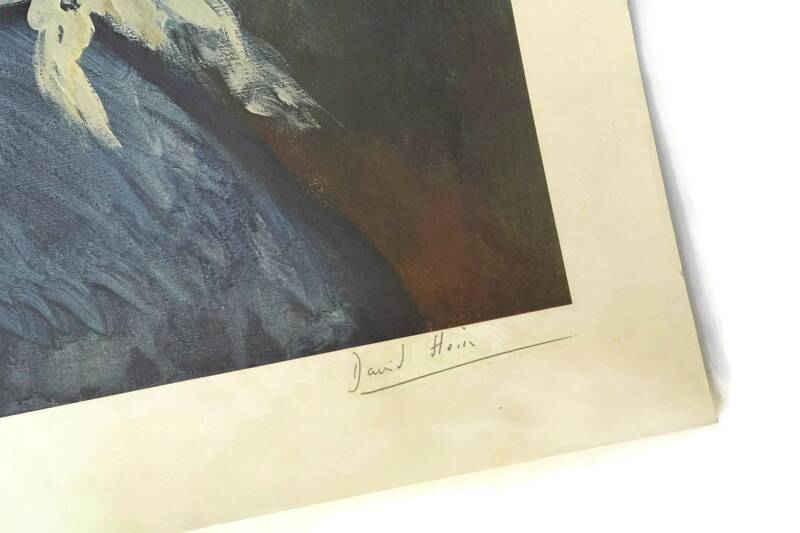 The lower right side features the signature of David Stein which has also been printed in the plate. It has been printed in full color on BFK Rives Velin paper. The print will be securely posted rolled up in a tube. 25" Long X 18" Wide (64 cm x 48 cm). The printed image is 21 1/4" x 15 1/2" (54 cm x 39 cm). 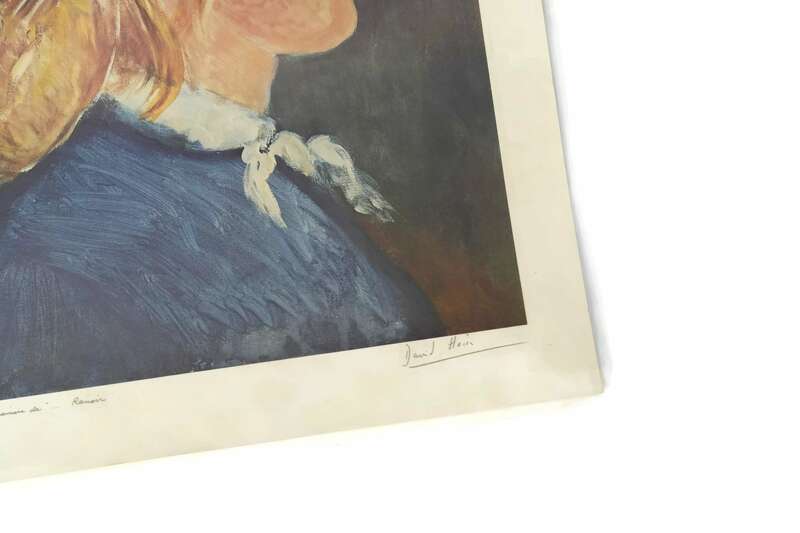 The vintage Bardot portrait print is in very good condition with some signs of age including light wear and marks to the paper in places. 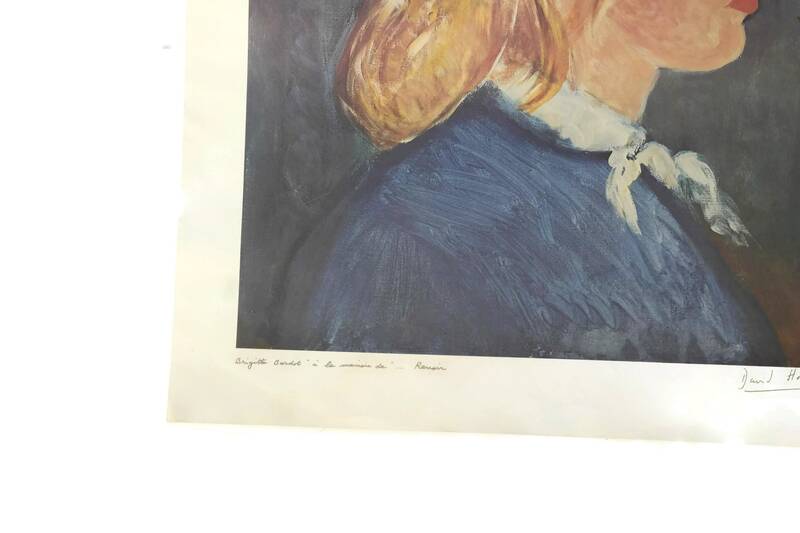 Item ref: Vintage Brigitte Bardot Portrait Offset Lithograph by David Stein in the Impressionist Style of Renoir. 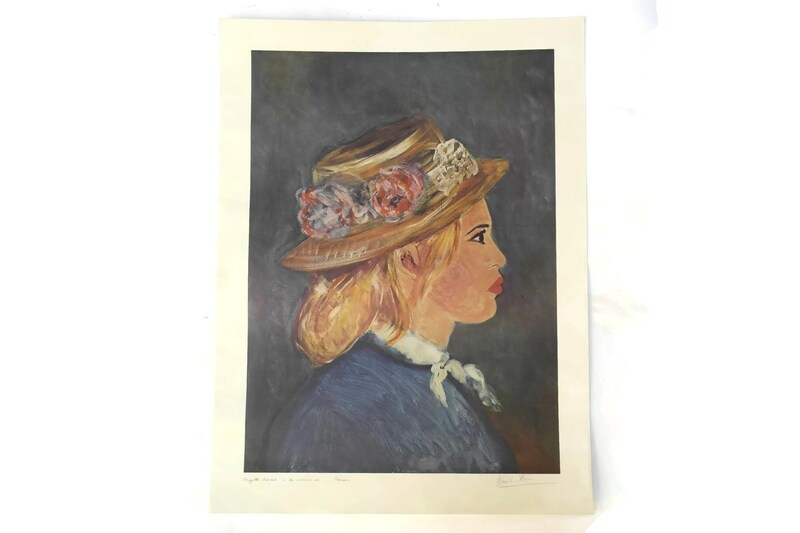 Original French Art Print. Cinema Memorabilia.